Tonya Kuper writes young adult novels. She first fell in love with reading in elementary school, which eventually lead to earning a BA in Elementary Education and a MS in Reading Education, but she never thought she’d write a novel, let alone several. When Tonya isn’t writing, she teaches Young Adult Literature Writing Workshop at the University of Nebraska at Omaha and is on faculty for the University of Nebraska at Omaha MFA low-residency program. Tonya laughs as much as possible, loves music, and nerds-out over Star Wars and all things pop-culture. She lives in Omaha, NE with her husband and two rad boys. I grew up in an itty-bitty town in rural west-central Illinois and graduated with only 35 other students. And I loved it. I was in everything musical (band, choir, swing choir), all clubs, plays, yearbook, and a cheerleader. I have a BA in Elementary Education and a MS in Reading Education. I met my husband at a small college in Illinois and he later brought me back to his home state of Nebraska, where I’ve lived since. I live in Omaha, which contrary to popular belief, is quite metropolis. I have two boys who are sweet and witty and so entertaining. I’ve been a stay-at-home-mom since my oldest was born and am now a work-at-home-mom. My passion for reading began when I was young and earned Pizza Hut Book-It gift certificates. I started with the James Howe Bunnicula series, The Secret Garden, The Ramona series by Beverly Cleary, and Sarah, Plain and Tall. Then came Anne of Green Gables, Babysitter’s Club, and Little Women. I worked my way up to The Catcher and the Rye, Stephen King, and Bram Stoker’s Dracula in high school. It was during my Masters program where I fell love with young adult literature because it didn’t really exist when I was in high school. (Man, that makes me sound old.) I’ll read just about every genre, children’s and adult, fiction and nonfiction. I LOVE music. I’m an alternative/indie/rock music junkie. I go to as many concerts as possible. But I’m also a fan of pop, rock, country, EDM, and just about every other genre. I love to get new music recommendations! I adore accents, be it Irish, English, Southern, Canadian, whatever – probably because I have no accent at all. I’m addicted to chocolate. For reals, yo. Chocolate & peanut butter together is even better. I’m a hopeless romantic but I also love to laugh. Anyone who knows me would agree that I’m a complete goof. I’m bit of a Star Wars nerd. 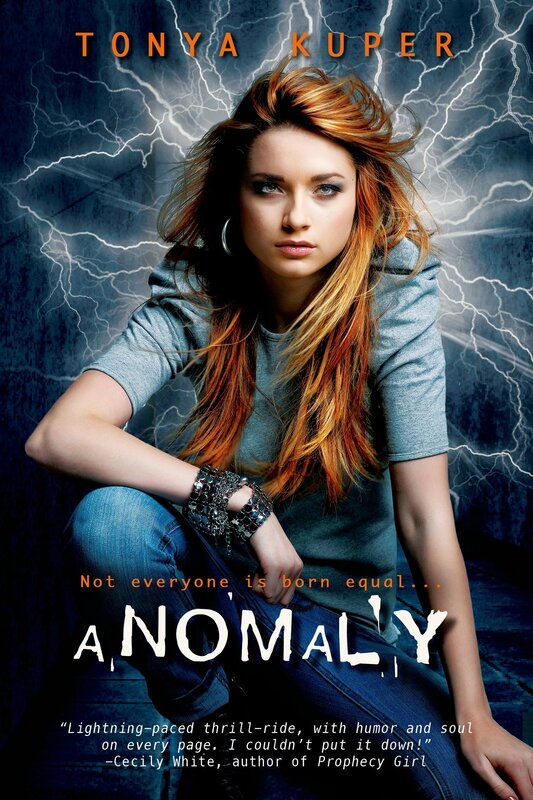 I enjoyed Anomaly, I am already looking forward to the second instalment. Thanks! My name is Eli Harter. I was born in Illinois. My younger sister’s name is Josie Harter. I was just in Barnes and Noble and happened to come across your book and saw the names of the characters and just died. Our names differ by one letter. I was wondering how and why you decided on naming your characters Eli and Josie Harper. Oh and my Dad grew up in Omaha Nebraska too. Is there any chance your husband knows my dad, Andy Harter. Thanks so much for your time. I can’t believe the coincidence.